The Crunch: The yearly release of high-tech devices means consumers rush to trade in the old for the new. This trend has led to explosive growth in the electronic resale market. That is why ecoATM Gazelle gives consumers fast, convenient, and secure ways to trade their devices for cash or find deep discounts on certified, pre-owned electronics. Consumers can trade-in and shop for used devices on Gazelle.com or recycle their old devices through secure ecoATM kiosks in retail stores for instant cash. By giving consumers ways to save and earn money on used electronics, ecoATM Gazelle helps protect the environment by extending the life cycle of consumer devices. Some of the hottest new mobile-device technologies were unveiled at CES 2018 — from the Vivo Smartphone, featuring the first in-display fingerprint scanner, to Razer’s Project Linda Concept, a mobile-powered laptop hybrid. These join a long line of new smartphones rumored for release later in 2018 — including the Galaxy S9 and the new iPhone. The constant churn of new technology into the market encourages consumers to upgrade, leading many to swap out barely used mobile devices for new ones almost yearly. Consumers traded in 80 million smartphones in 2015 alone, according to Deloitte Global. Yanyan Ji spoke to us about how ecoATM Gazelle provides multiple services to consumers while also helping the environment. But trading in a used smartphone can be frustrating for the consumer. Many carrier companies give customers credit for trade-ins only if they sign a service contract. Used-goods marketplaces promise better prices but don’t verify the seller’s reputation or guarantee the product’s quality. Consumers need a trusted, hassle-free way to recycle old devices, recoup their value, and save money on newer technology. That demand is met by ecoATM Gazelle, the partnership of two trusted brands that provide consumers with better options. With ecoATM, shoppers can use one of over 2,700 automated, convenient kiosks — located inside stores and shopping malls across the US — to recycle or receive cash for their used devices. 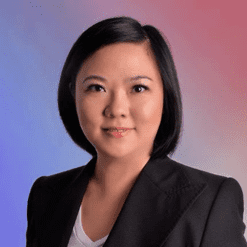 “The main thing that differentiates us from our competitors is that we make the process very convenient,” said Yanyan Ji, ‎Senior Vice President of Marketing and General Manager, E-Commerce at ecoATM Gazelle. 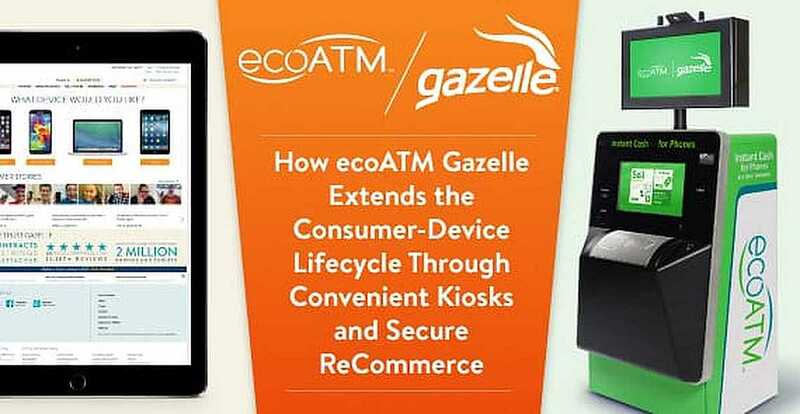 In 2015, ecoATM acquired Gazelle.com — an established online marketplace for trading and purchasing pre-owned electronics — to expand its trade-in channels. Through these two brands, ecoATM Gazelle saves consumers money and invites them to make smarter choices about how they upgrade or dispose of personal devices. By repurposing and recycling trade-ins, the company dramatically extends the lifecycle of consumer devices. Gazelle.com began in 2008 as a site where users could trade in their smartphones, tablets, and laptops for cash. In 2014, it added a store that sells certified pre-owned electronics. “We think of ourselves as the CarMax of mobile devices and computers,” Yanyan said. Users can trade in a wide range of personal devices on Gazelle — including smartphones, cellphones, tablets, Apple computers, iPods, and Apple TV, among others. Sellers aren’t obligated to make a purchase, as they are at most wireless carriers. After selecting the brand and model of the device they wish to sell, users are asked to evaluate and rate its condition. Gazelle accepts devices in every condition — even if they’re broken. “If you can’t power it on, we offer a lower price, but you still get money for it,” Yanyan said. Gazelle evaluates the information and lists an offer in seconds. If users accept this price, they receive a prepaid shipping box to send their device to the Gazelle processing center. Once a technician verifies the device’s condition, Gazelle sends payment via PayPal, Amazon gift card, or check. Gazelle guarantees offers for 30 days — a practice that also differentiates the company from its competitors. This protects consumers against price fluctuations and gives them ample time to mail in their device while transitioning to a new phone. Another perk with Gazelle? “If we check, and your phone is actually in better condition than you thought it was, we’ll give you more money than we originally quoted,” Yanyan said. It’s common for every member of a modern household to have a personal mobile device. Cost-conscious consumers — especially those buying electronics for children or older parents — are always looking for deals. Gazelle’s direct store offers a wide selection of pre-owned devices at deep discounts, with no contracts or strings attached. All devices sold on Gazelle.com are referred to as Gazelle certified and receive a 30-point quality inspection, and include a 30-day risk-free return policy. At the time of publication, consumers can find gently used models of the iPhone X, iPhone 8, and Samsung Galaxy Note 8 for $110 to $251 less than retail price. Gazelle also offers monthly promotions for select categories or device models on the site through its social media channels and email subscription list. Using Gazelle.com to trade-in or purchase electronics is simple — but ecoATM makes the process even faster with same-day transactions through kiosks inside retail stores and shopping malls. An ecoATM kiosk gives users step-by-step instructions on how to prepare their device for trade-in — including how to save and protect personal data. Users then plug it into the ecoATM, where the kiosk verifies the model and evaluates the device’s functionality and condition. In less than seven minutes, ecoATM makes an offer and, if the seller accepts it, dispenses cash payment. While Gazelle only accepts trade-ins for newer makes and models of smartphones, ecoATM accepts mobile phones of any age and condition — even those with no value. “If you don’t want devices to end up in a landfill, you can give them to ecoATM. We’re R2 certified, along with every partner we work with. We conduct strict, responsible recycling,” Yanyan said. Through Gazelle and ecoATM, the company has collected over 14 million devices and prevented electronic waste by either repurposing or recycling them. And ecoATM has numerous security features and strict protocols to deter criminals. All ecoATM kiosks are equipped with three high-resolution cameras to capture footage of users at multiple angles, and live agents verify the user’s driver’s license, or state identification card, before approving each transaction. In states that require biometric identification, kiosks include NIS-compliant thumbprint scanners. The ecoATM also checks for stolen devices by verifying the serial numbers of higher-value products against CheckMEND — a federal database of mobile device histories. The company has an internal team of ex-law enforcement personnel and works closely with outside law enforcement groups to prevent the sale of stolen phones, ensure stolen devices are returned, and report criminal activity when needed. “With such strict rules, the percentage of our phones that are lost or stolen is less than 1%,” Yanyan said. Security and technology protect ecoATM consumers and provide peace of mind for those who want a convenient, easy way to trade in, or responsibly dispose of, personal electronics. New mobile devices with attractive features and hyped capabilities continue to flood the market at a steady pace. Consumers are gravitating to these latest gadgets, and they’re also leaving behind a growing trail of gently used devices. This flood of high-quality used devices gives eco-conscious consumers a way to get their hands on newer technology without paying top dollar, and Gazelle.com is a destination where consumers can find them. “Over 90% of these are great phones, and many of them end up in our store,” Yanyan said. Deloitte predicts the used smartphone market will continue to grow as much as five times faster than the overall smartphone market through 2020, and ecoATM Gazelle has witnessed this growth. “On the ecoATM side, we continue growing the number of kiosks. On the Gazelle side, we’re expanding our catalog to accept and sell new products. We’re constantly evaluating and working to meet the market demand,” Yanyan said.